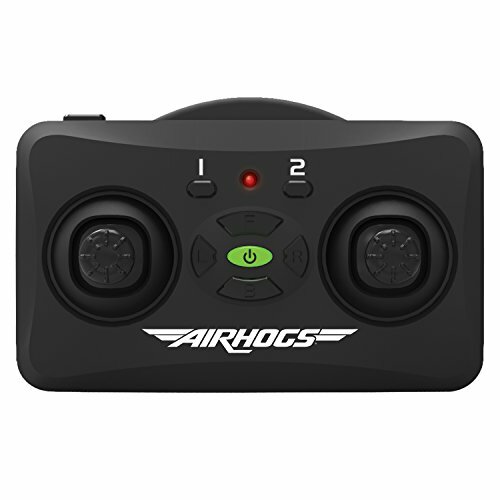 Product prices and availability are accurate as of 2019-04-19 21:12:02 UTC and are subject to change. Any price and availability information displayed on http://www.amazon.co.uk/ at the time of purchase will apply to the purchase of this product. 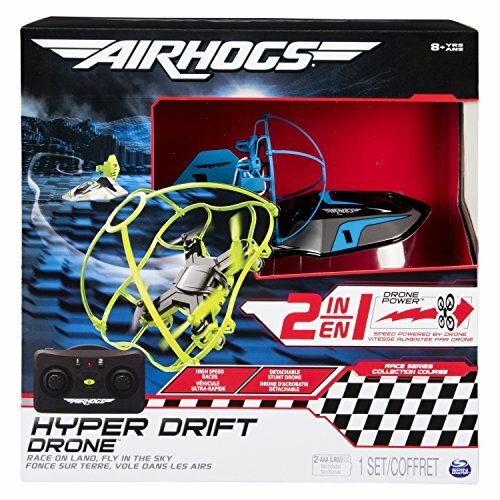 Air Hogs Hyper Drift Drone is a 2-in-1 vehicle: Race along the ground or fly through the sky at super fast speed with the detachable drone! 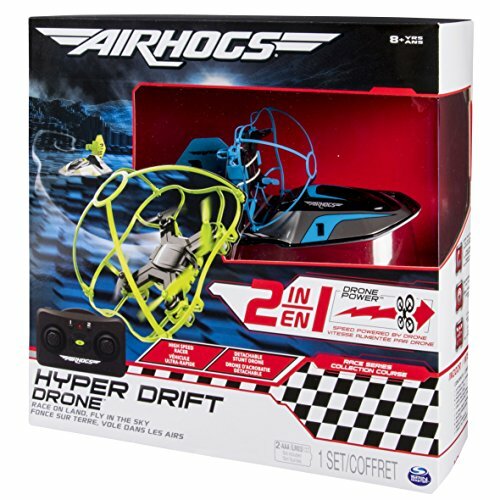 Speed demons head to the race with Air Hogs Hyper Drift Drone. 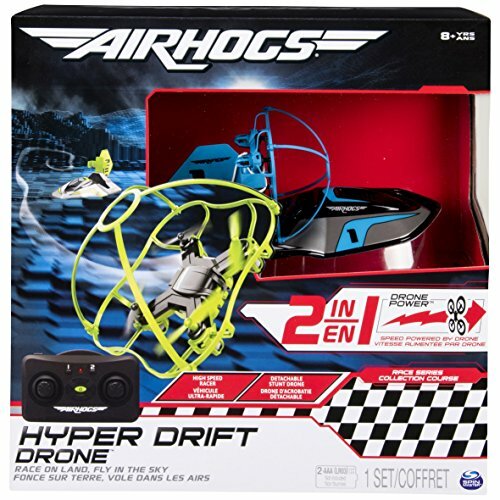 Equipped with a turbo drone power source, it is made for racing at breakneck speeds. 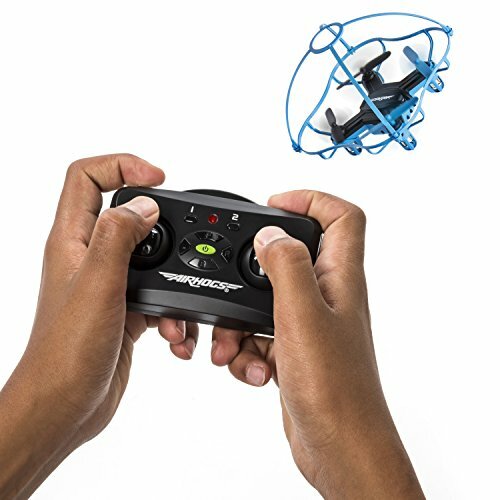 The turbo drone is made with a self-righting cage to ensure you land upright and are ready to lift off - even after an epic crash! Made for kids aged 8+. Charges via USB. 4-Channel controller requires 2 x AAA batteries (not included). Charge for 30 minutes, play for 7 minutes. Recommended for indoor use. Communication range of 200 ft. and frequency of 2.4 GHz.